There are some things that I label as necessities over the holidays. Among the many foods I enjoy, eggnog is one of those things that make my Christmas, well, Christmas-y. And I have the perfect eggnog recipe for you. 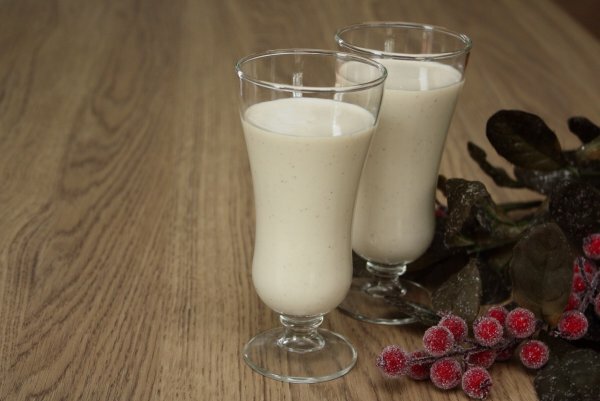 If you’ve never tried homemade eggnog, you are missing out. I feel I need to apologize in advance if this recipe ruins all store-bought eggnog from now on; it really is that good. Egg yolks contain the majority of the vitamins and nutrients that are found in eggs and they can be used in many different ways including soups, desserts, main dishes, drinks and more. With 6 grams of high quality protein and 14 important nutrients such as vitamins A, D and E, folate and iron, eggs are one of the most complete natural foods available. It is the egg in eggnog that gives the drink its unique taste. This recipe is easy to make and tastes great. Not only that, after I made this drink, I used it to make eggnog lattes. There’s a bonus right there. A delicious home made eggnog recipe that is easy to make and tastes better than its store-bought versions. 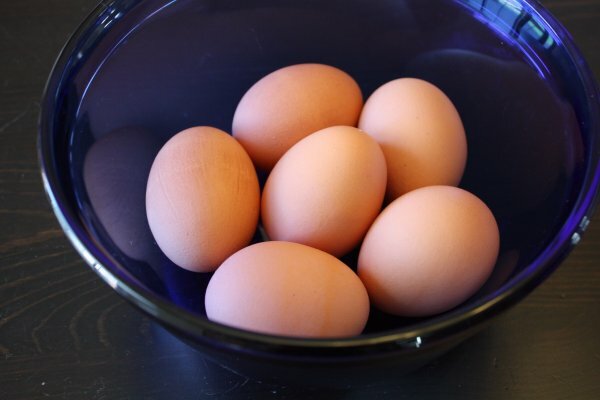 Separate egg yolks from eggs and set aside in a bowl. Combine milk, ground cloves, cinnamon, and vanilla bean in a saucepan and heat to boiling over low - medium heat. Be careful not to burn milk when boiling. I cut the vanilla bean open before adding it to the pan and scraped the insides into the saucepan, then added the vanilla bean in. In a separate heat-safe bowl, whisk the egg yolks with brown and white sugar until fluffy. Add the nutmeg and combine well. Remove the vanilla bean and slowly pour the hot milk mixture into the egg mix while you whisk everything together to combine well. 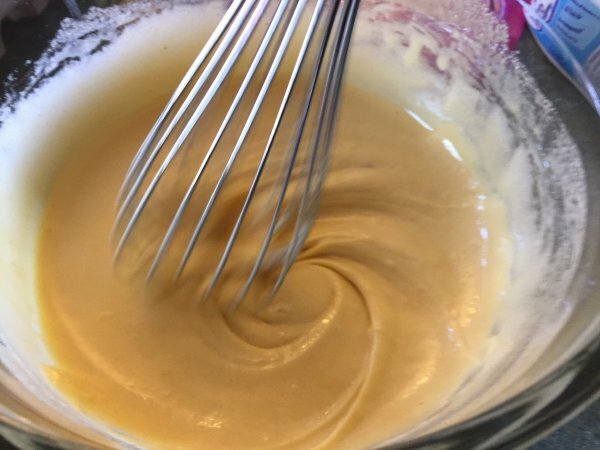 Once mixed, pour everything back into the saucepan and heat over low to medium heat until your eggnog begins to thicken (3 - 5 minutes) but don't let it boil. Remove from heat and set aside to cool for about an hour. You can add the 1/4 tsp of vanilla extract at this time if you want more flavour. After the mixture has cooled, add the light cream, mix well and store in the fridge. Makes 2 litres (8 cups) of eggnog. Make this 4 hours (or overnight for best flavour) before serving. Whisking the egg yolks with brown and white sugar until fluffy. This makes a great drink for the holiday and I’ll be making a batch of this for while we decorate our tree soon. Eggs have always had 14 important vitamins and nutrients including protein, iron and vitamin A. Natural goodness, brought to you by your local egg farmers. For more information about the natural goodness of eggs, visit eggs.ca. Disclosure: This post was brought to you by Egg Farmers of Canada. The opinions expressed herein are those of the author and are not indicative of the opinions or positions of Egg Farmers of Canada. This looks and sounds delicious! Will have to give it a try this year. Have never had home made egg nog! I find it lighter and tastier than the store bought. And you can flavour it how you like it. Enjoy.